Are You Measuring The Right Customer Satisfaction Metrics & KPIs? Delighting customers and creating a loyal customer base is one of the most critical components of a success business. And because of this, you’ll find thousands of customer KPIs to potentially track. While all of those measures may be interesting, it’s important to find the critical few that will give you early warning signs on how your customers are thinking and acting, so that you can act accordingly. To that end, we’ve created this comprehensive list of customer KPIs. 53 important KPIs, organized in three customer-related categories. Clear descriptions of each and every measure. A simple, accessible Excel format that you can easily make your own. 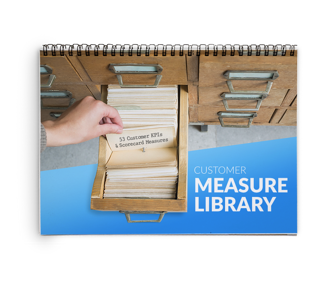 Download this extensive customer KPI list today.